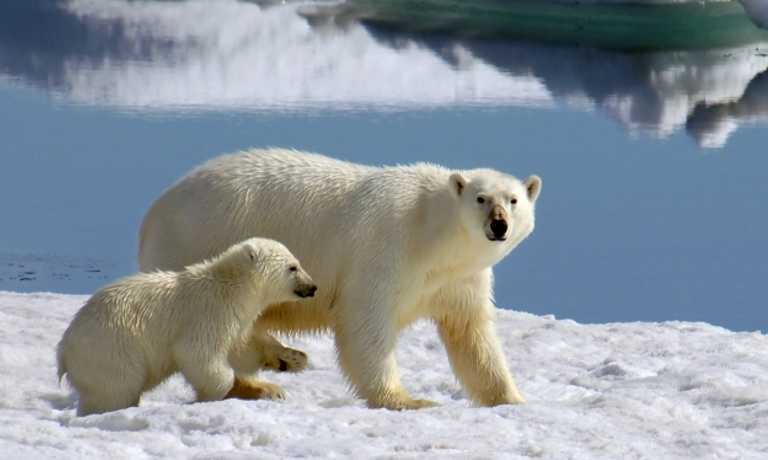 Beginning in Svalbard before arcing westwards across the Greenland Sea and then down East Greenland’s long coastline to finish in Iceland, this is an audacious Arctic journey of startling diversity and contrast. Spectacular landscapes, towering glaciers and once-in-a-lifetime wildlife encounters will all vie for the highlights list. Board the ship in the late afternoon and sail down magnificent Isfjorden. 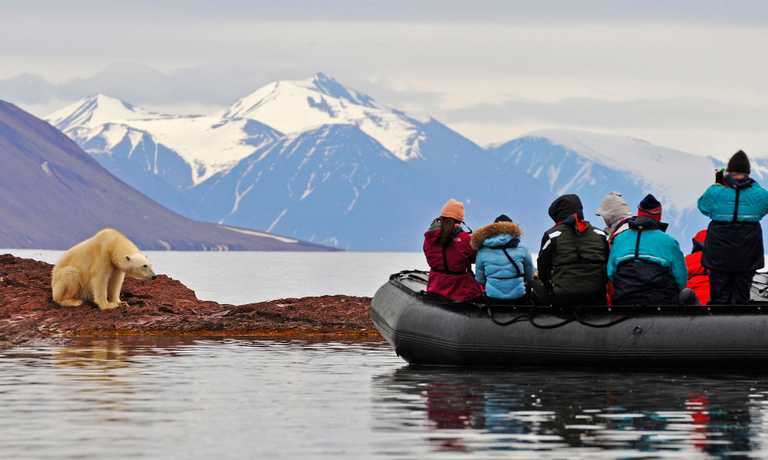 Spitsbergen's northwest coast features calving icebergs, historic whaling stations and trappers' camps. Brunnich's guillemots, little auks and kittiwakes nest in their thousands. 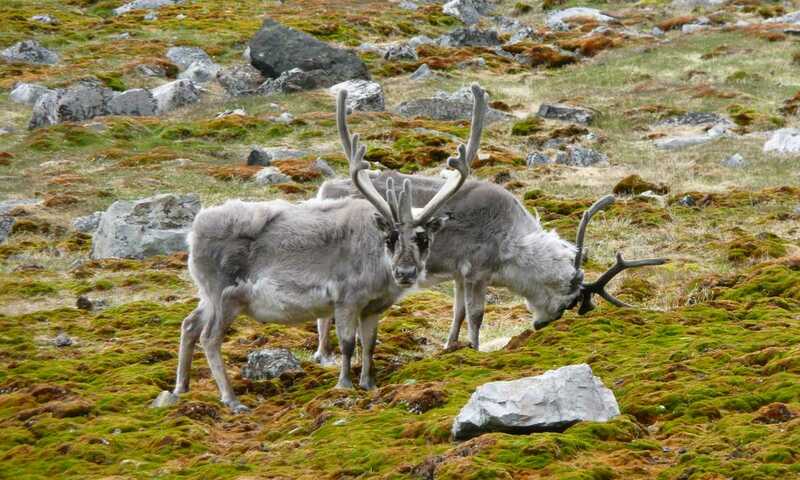 Reindeer roam tundra dotted with wildflowers like saxifrage, moss campion and bell-heather. Zodiac to gain fantastic views of ice cliffs, including Monacobreen, one of Spitsbergen's largest glaciers. In the north, look for walrus and possibly polar bears. Crossing the Greenland Sea, our expert naturalists and guest lecturers entertain us with fascinating talks on plants, animals and early explorers like Nansen, Andr?e and Scoresby. We keep an eye out for fin whales, encroaching sea ice and seabirds. Relax and prepare for a landing, if conditions permit, on Greenland's northeast coast, home to polar bear, Arctic hare and musk oxen. An ice cap covers 81 per cent of Greenland and pack ice, even in summer, may fill northern bays. Ashore, cosy trappers' huts beckon from across the tundra, where musk ox, Arctic hare and eider ducks roam in Kejser Franz Josef Fjord. Lively cascades at Kap Humboldt provide a microclimate for spectacular hanging gardens. Kong Oskar Fjord offers spectacular glacier-carved mountains. Reach Scoresby Sund, the world's largest fjord. The huge Greenland icecap continuously sweeps down gigantic glaciers, making it the birthplace for some of the world's largest icebergs! The Zodiacs take you through an incredible maze of icebergs, as you head to the shores for some exciting tundra hikes, and a visit to Ittoqqortoormiit, one of the rare villages of the East Greenland coast. Sail south along the Blosseville Coast, search for musk ox and narwhals and marvel at the mountain scenery that dominates the skyline. If weather permits, you head for Romer Fjord, a deep waterway with stunning mountain views. Sail across Denmark Strait, reflecting on the rich experiences and enjoying the antics of northern fulmars, black-backed gulls, dolphins, orcas and other whales. Arrive early morning. After breakfast, bid farewell to the ship's crew before your coach transfer downtown or the airport. 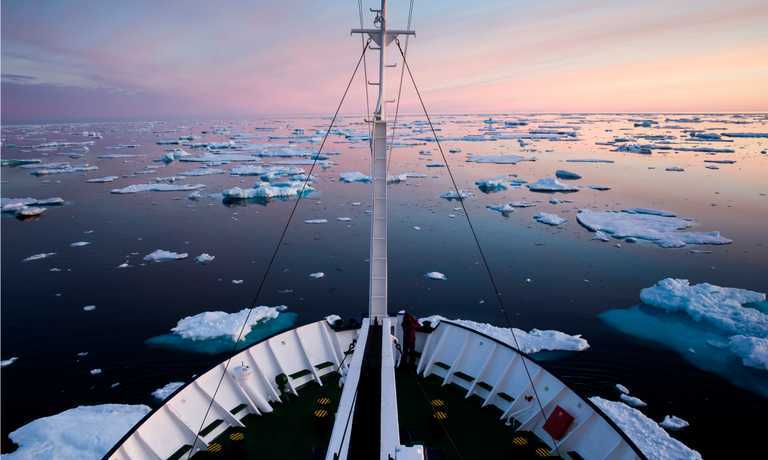 Please note: the 26 July 2020 departure is 1 day longer than all other voyages (15 days) and days 2 & 3 are spent at sea.